Brewer Description: (from lambic.info) Quetsche Tilquin (Draught Version) is a fruited, blended lambic created by combining a low alcohol lambic beer called Meerts (from Boon) and one- and two-year-old lambics. According to the blendery, it is comprised of 50% meerts and 50% lambic, in order to keep the ABV down. No 3-year-old lambic is in the draught version. The fruit concentration is the same as the bottle version – at least 250g/l of plums – and it is typically 5.3% ABV. 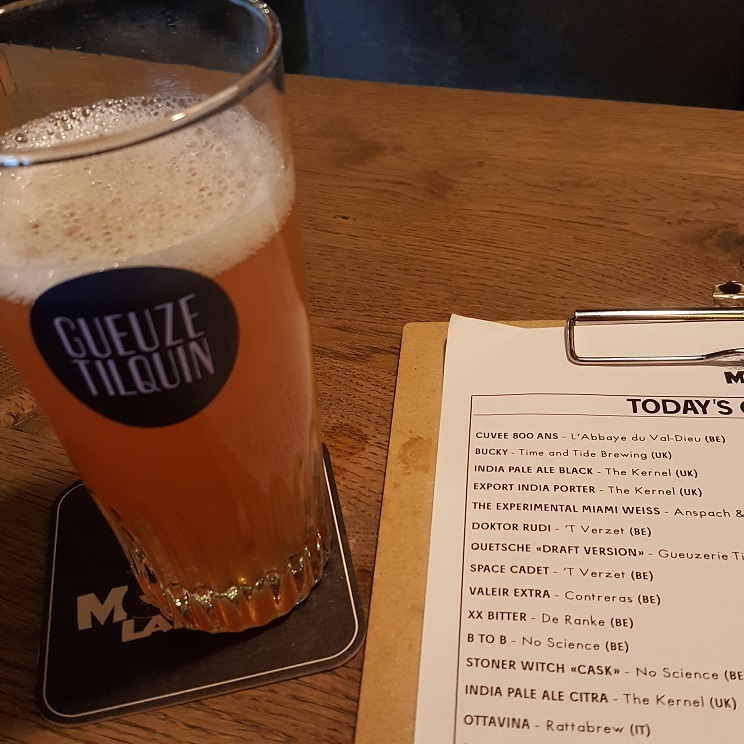 Intro: A 250ml draft pour into a Tilquin gueuze glass at Moeder Lambic Fontainas. Appearance: A hazy dark orange colour with minimal white head and no lacing. Aroma: Tart, plum, lemon, mixed berries and light funk. Taste: Lightly sour, tart, plum, lemon zest and oak. Overall: Nice, balanced and refreshing.